LONDON, July 20, 2010 (AFP) - English Premier League clubs Arsenal, Tottenham and West Ham have banned controversial vuvuzela horns from their stadiums this season. 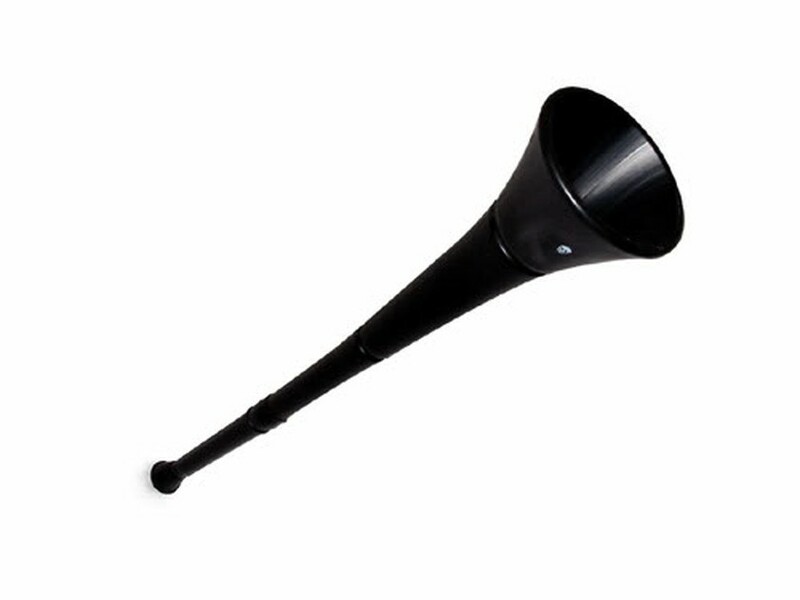 Vuvuzelas provided the soundtrack to the World Cup in South Africa as fans blew the plastic horns throughout matches, creating a monotonous drone that drowned out crowd chants. They were criticised by players and television audiences during the World Cup and several English Football League teams had already banned them. Now Tottenham have become the first Premier League club to outlaw the horns, with north London rivals Arsenal, and also West Ham, quick to follow suit. Tottenham officials believe vuvuzelas would ruin the atmosphere at White Hart Lane as well as posing a safety risk. "We are concerned that the presence of the instruments within the stadium pose unnecessary risks to public safety and could impact on the ability of all supporters to hear any emergency safety announcements," a club statement read. "We are very proud of the fantastic atmosphere that our supporters produce organically at White Hart Lane and we are all very much looking forward to this continuing into the forthcoming season." Arsenal have the same opinion and the club said: "Further to their hugely debated involvement at the World Cup Finals in South Africa, Arsenal Football Club has decided to forbid the use of vuvuzelas within Emirates Stadium with immediate effect. "This decision has been taken to ensure the enjoyment and safety of supporters on matchdays, which is of paramount importance to the club." Musical instruments are already banned from Upton Park and West Ham chiefs won't be changing that rule for the vuvuzelas. A West Ham statement said: "Under the current health and safety regulations at the stadium, which already disallows musical bands, we would not allow them (vuvuzelas) into the stadium as they could be considered a weapon and could also be considered to be an annoyance to others. "The club wish at all times to ensure that all supporters are allowed to enjoy the game they are watching and prides itself on the passionate, loud and robust support from our fans at all matches at Upton Park."